Sony's Xperia XZ3 is available in the US in unlocked form starting today. That's quite a delay compared to the initially outed release date of September 24, but hey, better late(r) than never. The phone has been up for pre-order in the States for almost a month now. You can pick one up from Amazon or Best Buy. You'll have to pay $899.99 for the privilege of owning Sony's latest flagship smartphone. Obviously you'll be receiving an unlocked unit, but note that it will only work on GSM-based carriers such as AT&T, T-Mobile, and their sub-brands and MVNOs using their networks. No Sprint or Verizon, sorry. As for colors, you can choose from black, Forest Green, and White Silver. 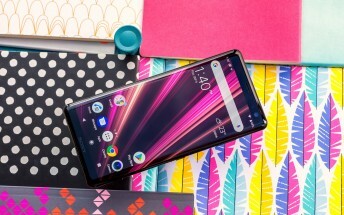 The Xperia XZ3 is Sony's first top of the line device with an OLED touchscreen. It comes with Gorilla Glass 5 both on the front and the back, and a 7000 series aluminum alloy frame. The handset runs Android 9 Pie and is powered by the Snapdragon 845 SoC, with 4GB of RAM and 64GB of storage. It has a 3,300 mAh battery which supports Qi wireless charging.